Which of these leaders will be the next head of Cyber Command? With the reported retirement of Adm. Michael Rogers, commander of U.S. Cyber Command and director of the National Security Agency, government and defense industry sources have floated several names as potential successors. It’s likely whoever is nominated as the new leader of Cyber Command, will also likely service as director of the NSA, like Rogers. Background: Nakasone has been thought to be the front runner in this race, sources said. 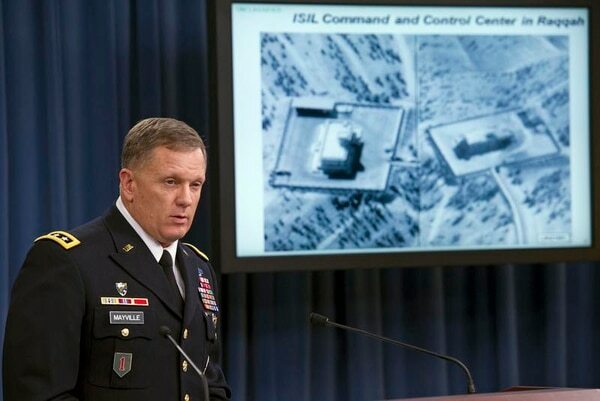 The Cipher Brief has also tapped the general as the leader of this pack. Nakasone has served as the director of intelligence for the International Security Assistance Force in Afghanistan and as executive assistant to Gen. Keith Alexander, the first commander of and stood up Cyber Command. Prior to his most recent position, Nakasone led the Cyber National Mission Force at Cyber Command. 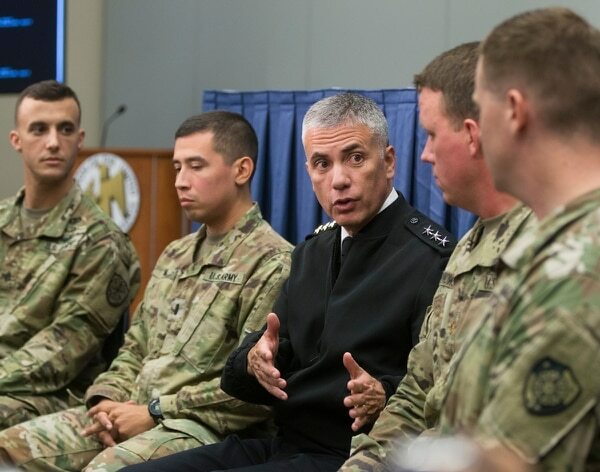 Their thoughts: Nakasone has also taken the unusual step of speaking frequently about the offensive cyber efforts undertaken by Cyber Command against the Islamic State group – capabilities that were long known to exist but rarely discussed in public. Nakasone also leads the joint task force charged with bringing the cyber fight to ISIS in Iraq and Syria, Joint Task Force-Ares. That task force has faced some criticism for its effectiveness, but Nakasone has said he believes the program is on the right path. Nakasone has addressed how in creating a cyber warrior class, DoD and Cyber Command sought not to stovepipe their workforce into certain roles, namely offense or defense. From their perspective, the relationship is symbiotic and both sides are equally imperative. “This is the piece we’ve always talked about: how do we ensure this workforce we’re developing doesn’t get stovepiped into one or the other because what we always believed as we were standing up CYBERCOM is that the most effective piece is that the offensive is going to inform the defense and the defense is going to inform the offense,” he said. “We’re learning so much, whether or not it’s with our forces, with our doctrine, with our strategy; we are well forward of where we thought we would ever be,” he said at the CyCon U.S. conference in Washington Nov. 7. Nakasone referenced the progress DoD has made standing up of a cadre of dedicated cyber warriors and the employment of such forces. Background: Stewart was nominated to serve as the deputy commander at Cyber Command over the summer. 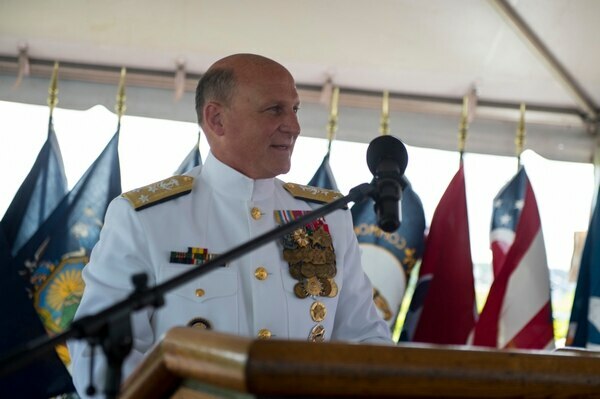 Most recently he was the director of the Defense Intelligence Agency after having served as the commander of Marine Corps Forces Cyberspace Command and a variety of DoD and Marine Corps intelligence positions. Their thoughts: Prior to his official departure from DIA in August, Stewart said in a keynote in St. Louis that the U.S. is preparing to fight wars of the past. Most networks are simply monitoring the attacks, intrusions and malware after they’ve already done their damage, it’s too late. This is not a model that works in the age of fifth-generation cognitive warfare, he said. Stewart has also stated that 21st century warfare is cognitive as much as it’s kinetic. Background: Mayville, who is also serving as the deputy at Cyber Command in a previously unannounced dual deputy construct focusing on navigating the command through the combatant command elevation process, has also been floated as an officer in contention. Mayville’s career spans mostly within in the infantry sphere and has not spanned the intelligence or cyber track. His official DoD biography is not available online. Most recently he served as director for the Joint Staff with prior positions including director for operations for the Joint Staff; deputy director for operations and deputy director for plans and policy for European Command and the director of operations for headquarters, International Security Assistance Force. Background: Gilday’s name has also been discussed as a potential successor to Rogers. His most recent post was the director of operations for U.S. Cyber Command. 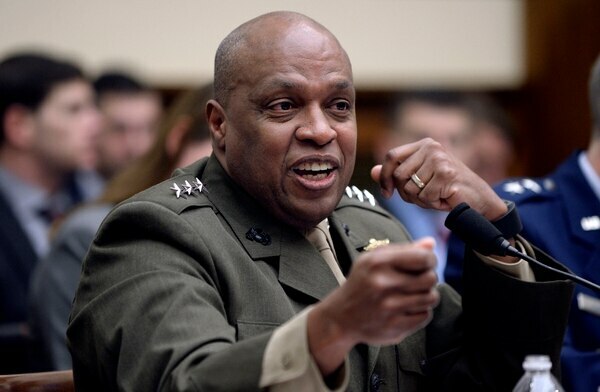 Their thoughts: In his previous role, he discussed the need for greater understanding of legacy networks and systems for defensive cyber teams that respond to intrusions or incidents. “We don’t necessarily have that across the board right now for all of our systems. Certainly we don’t have it holistically, so it’s a huge challenge for us because you find yourself behind in terms of…containing that adversary in a system and then ejecting them out of the system,” he said. Gilday, more recently, has been vocal about the malicious and offensive use of automation. “Because of new technologies like artificial intelligence, there is the ability to automate the delivery of malware across the internet,” he said. He’s also noted that defense becomes especially difficult particularly when adversaries begin to use AI on the offensive side, adding they can sense and learn from defensive systems and at network speed, adjust and get around them. To combat the rapid cyber tool market, Gilday has expressed attracting developers and leveraging new DoD assets such as the Defense Innovation Unit-Experimental and their Other Transaction Agreement rapid contracting authority.